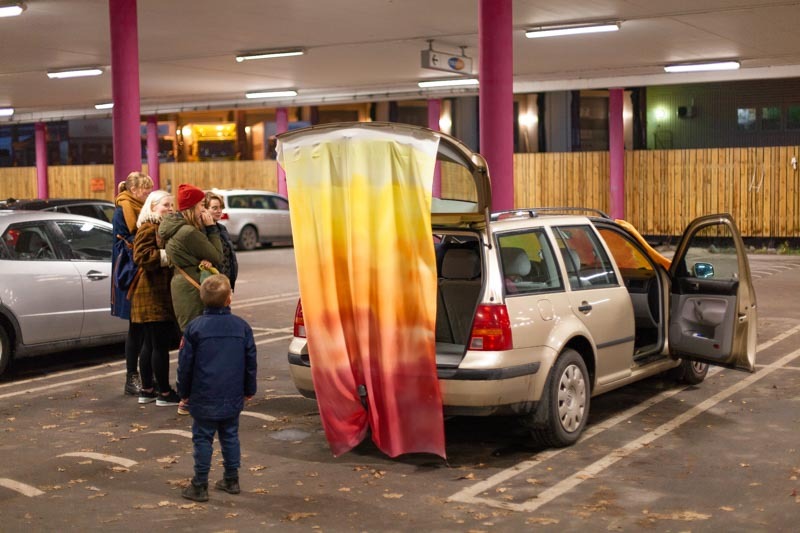 Verket ”Solnedgång över Västberga Parkering” med Konsthall 323, 11 november 2018. Thank you everybody who joined us for Söndagskväll i November med Konsthall 323! 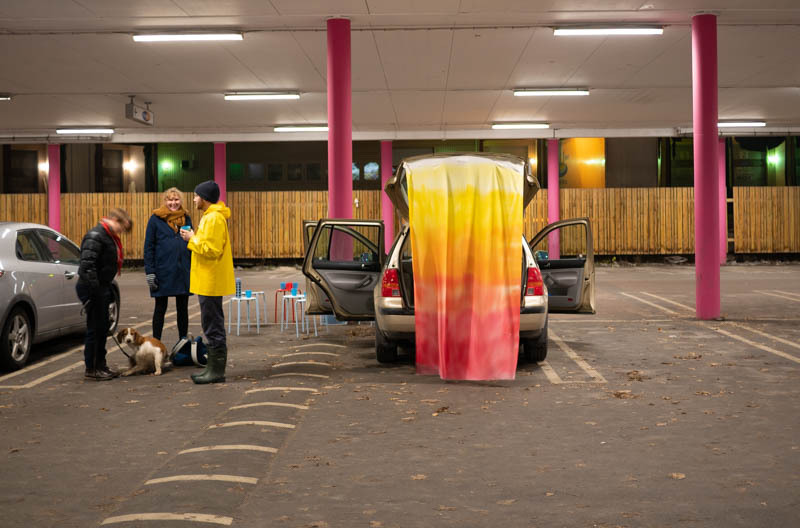 ”Solnedgång över Västberga Parkering” is a site specific installation created for Konsthall 323. 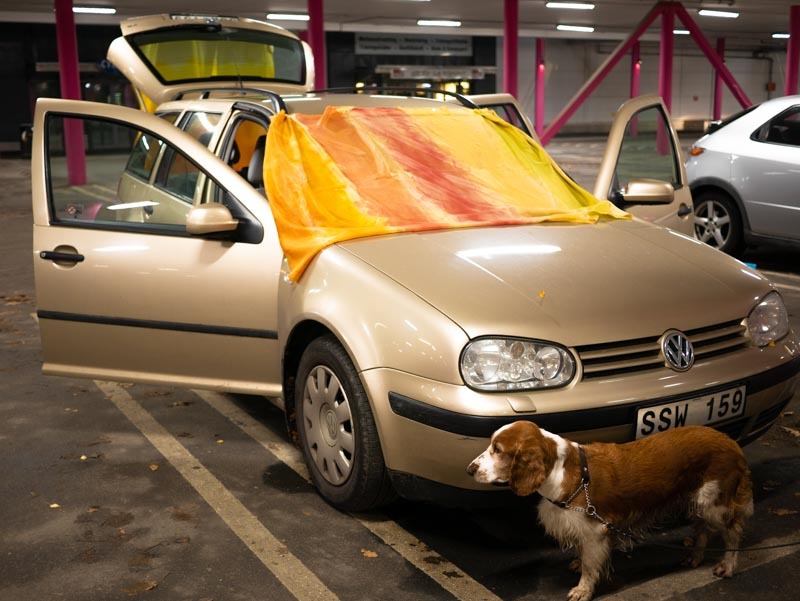 Konsthall 323 is a conceptual institution venue located in a car. 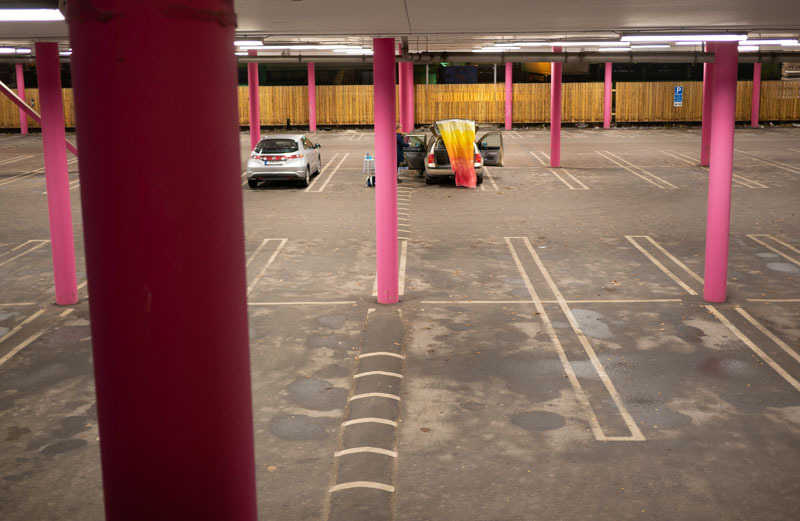 The space is curated and directed by the artists Frida Krohn and Ylva Trapp. They invited me to create a painting installation for a one-night-only event in November, 2018. The show was open 4pm-6pm, when the sun sets in Stockholm, Sweden, a time of the year when it is both dark and grey. The to two fabrics are hand painted on silk. Detta inlägg postades i Uncategorized den november 25, 2018 av anna.